The mark of Cain was a sign of grace. And this mark of grace was a woman, given to Cain. She was his sign of grace, not to be killed. To understand this to be the truth, we have to look at some events, happening in the life and generation of Cain. But first of all, we are going to take a closer look at the mystery of why God is talking about SEVENFOLD vengeance. The sevenfold vengeance is all about numbers and values in human beings. The day a creature was finished, is also the value of his being. God is numbering and valuing all creatures by the value of the day, they were created and finished. This is important, “having wisdom Rev 13.” to understand, in order to understand the sevenfold vengeance, regarding Cain, in Gen. 4:15. The serpent was the last beast created, on the 6th day, still being a beast. And the serpent never left the 6th day by death and resurrection into Gods day of rest. His number is therefore 6, because of the day he was finished. He became the 6th day creature. His number became therefore 6. Adam also was created on the 6th day, but he was created to be more than a beasts. He was created to be the image of God. The first Adam was the first image of the tree of Life. Adam was the first Christ image or should I say, God image in flesh. Adam therefore was commanded to leave the 6th day by the deep sleep of death. Adam died, away from the 6th day. And by the deep sleep of death, he left the 6th day and was resurrected into the 7th day of rest. This resurrection is mentioned in Gen 2:2 when God FINISHED his work on the 7th day. Adam was finished by resurrection from the deep sleep of death on the 7th day, not on the 6th day. It is allowed to do well on the Sabbath day according to our master, Jesus Christ. The value of Adam the image of God, is therefore 7. The value of the beast, called the serpent, is 6. 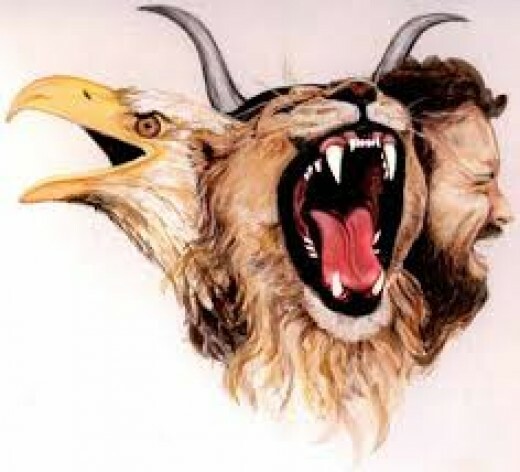 The number of the beast, ALSO being the number of a man, is the mystery of the Bible. A MAN, revealed to be counted in the value of the beast. Cain is the first MAN, who was “of the evil one”. He is called a MAN because he was born of the image of MAN, Eve. Eve was created in the image of man and was called mother of ALL living. This is the mystery of the man, who came forth out of the beast, the serpent. Cain was the seed, the generation of the 6th day creature, the serpent. This is why Rev. 13:18 is talking about the mystery of the revelation of a man with the same number and value as also is the number of the beast. Threefold nature of the 6th day. The elect people of God knew themselves to be in the value of 7, like their forefather, Adam. Bearing this in mind you might be able to see the seed line of Cain to be in the value of the 6th day. Seth was Seth in the place of Abel, to be in the value of the 7th day. It is important to him that hath understanding, to count the values of the number of the beast. The woman, given to Cain was a woman with the value 7 as also is the value of Adam, her father. The woman, given to Cain was a holy woman. Even thou, the value of Cain himself was 6, because of his father, the serpent, he was given a wife from Adam and Eve, and this is the reason for talking about sevenfold vengeance. when falling from the tree. Cain and his generation were the thorns and thistles of the world. He had to receive mercy to live. The value of the woman, given to Cain was 7. And this value is even mentioned in the condemnation of Cain. She was a daughter of Adam and Eve and her number was 7 like her father. By the deep sleep of Adam, he left the 6th day and his number was changed to seven. Adam entered the rest of God. The punishment to Adam also proves this fact in Gen. 3:19 saying: “In the sweat of thy face...” He lost his rest privileges and he now had to work in the sweat of his face. The number of the offspring of the serpent, Cain and his generation, were 6 because of his father the serpent. The serpent was created on the 6th day like Adam, but he never left the 6th day by death and resurrection. By this knowledge, we now understand why the Bible is talking about a human being, with the same number as the beasts of the field. The mystery man of the 6th day is revealed to be the sons of the serpent. The Bible is talking about a human being, growing forth out of the sea of man, even after being killed to extinction, again and again. The serpent, the father of all evil was killed but the nature of the serpent came forth when Cain was born. Cain was the first son of perdition. 2nd time of extinction is when Noah the 10th messenger from Adam, by faith killed all the thorns and thistles which gave them the toil with the ground. The curse and toil with the ground in Gen. 5:29 are the generation of Cain. They, Cain and his children were the thorns and thistles of the old world. Their judgement, death of all flesh, was the death that Enoch did not live to see. 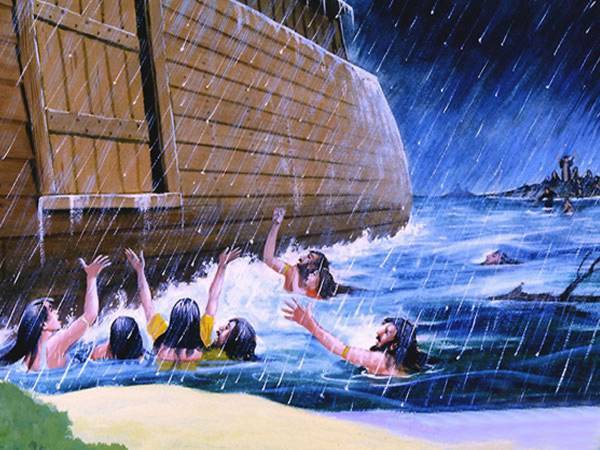 But even this time, by the faith of Noah, the nature of the serpent survived the flood. This time the genes of the serpent survived because of ONE of the sons of God, Ham, the son of Noah, being disobedient and taking himself a daughter of men to his wife with him, into the ark. 3rd when Abraham the 10th messenger from Noah was given the power over all the 10 generations of gentiles. The children of Abraham kept this power for 42 generations of time. But even Abraham and his generations, did not kill all the gentiles in these 42 generations of time. The 4th and perfected extinction of the power of the nature of the serpent in the gentiles happened when Jesus killed Judas by the mighty sword of his mouth. Jesus spoke to Judas and sent him out to the outer darkness. And by doing so, he spoke the words of death to Judas. Darkness came upon Judas when he went out to the outer darkness, and he could not find his way back to God. He found no way back to forgiveness. Judas partook of the bread with Jesus in such an unworthy way that he “eateth and drinketh damnation to himself” 1.Cor 11:29. Judas went and hang himself. Judas was the last gentile dyeing under the power of Abraham and under the law. And by his death, the old prophecy was fulfilled saying: "It shall bruise thy head." When Judas fell headlong to the ground his head was bruised. 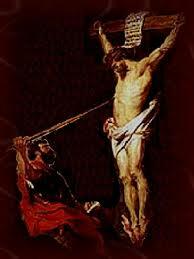 By the death of Jesus Christ, the enmity was brought to an end. And also the power of Abraham to have dominion and rule over the gentiles was now brought to an end by the victory of Jesus Christ. The mercy shown to Cain according to the will of God, was to let Cain live. To let thorns and thistles, Cain, live and be a part of the earth. Letting Cain live and reproduce himself, was the punishment, given to Adam when God said: “Thorns also and thistles shall it bring forth to thee” Gen. 3:18. Cain and his generation ARE the thorns and thistles of the world. Also Paul is using this kind of terms when he said: I have a THORN in the flesh… That´s a human being sent out in the spirit of satan to pursue Paul. Back to Cain. By understanding these values, numbers and differences of these two generations of the earth, you might understand why, it is said: “Therefore whosoever slayeth Cain, vengeance shall be taken on him sevenfold.” It is all because of the holy woman, given to Cain. The woman with the value of her father, Adam. SEVEN. To fulfil the foretold prophecy of the future event: “it shall bruise thy head, and thou shalt bruise his heel,” Cain had to receive a wife to make this event happen. Cain have to produce of his own kind. And for that to happen, Adam have to give AWAY one of his holy daughters. The prophecy foretold to happen in the seed line of Cain, was eventually fulfilled in Judas, who is the generation, the seed, the offspring of the serpent. Judas was the son of perdition. Now, who is the father of perdition? Was Adam the son of God, the father of the perishing sons? NO. It was the serpent who was the father of the sons of perdition. 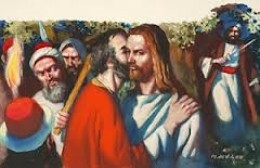 And by a kiss, the son of the serpent, Judas, betrayed, bruised the heel of Jesus. Judas fulfilled the prophecy foretold to happen in the seed line / generation of the serpent. And when the seed of the woman,(the savior) Jesus, was revealed on earth, it all happened to the dot. Adam was showing mercy to Cain, in order to fulfil the will of God saying this to Adam: “I will put enmity between the seed of the serpent and the seed of the woman.” If that should ever happen, Cain had to have a chance to, not only live but to produce seed / offspring of HIS own kind, the evil kind. Adam himself was the one fulfilling the prophecy of Gen. 3:18 “Thorns also and thistles shall it bring forth to thee; and thou shalt eat the herb of the field;” Adam was obedient to this word of God and he let Cain live. 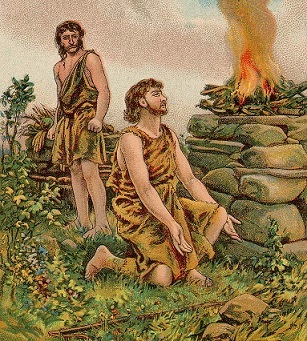 Adam showing mercy to the murderer, Cain, is today known to be the mark of Cain. The world was now about to be filled up with thorns and thistles, for the sake of Adam. This also explains what it is to marry away. That is when the sons of God or daughters of god are marrying the children of Cain. They went away from God and his presense. The mark of Cain WAS HIS WIFE. Cain was made holy by the wife with the value 7 from her father, Adam. She was in the loins of Adam when Adam left the 6th day. She was there when Adam was resurrected into the 7th day of rest. Her number was 7 like all the rest of the children of Adam. This is the reason why God is saying like this:”Therefore whosoever slayeth Cain, vengeance shall be taken on him sevenfold.” The sevenfold is all because of his mark, his wife. The woman was his sign of grace. And by this sign, he was given the opportunity to bear fruit of his own kind, the thory evil kind. Now this fact about the grace by the women, in the generation of Adam, is not only found in this one case of Cain. The 7th from the serpent, which is the 6th from Cain, is also using terms from this event happening to Cain. Knowing this, Lamech tried to do this same thing. 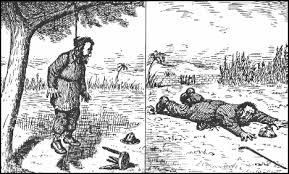 He took himself two wives of the generation of Adam and Eve, trying to get “redeemed” despite the many murders he had committed. This is plain evilness, thorns and thistles growing wild in the generation of Cain. Mingling of these two different generations was not allowed in those days. It was a one time event, in order to give the generation of Cain a chance to survive of his own, by their own women. The four kinds of people after the fall of Eden. 1. The sons of God. They are the direct line of Adam the son of God, and Eve. And by that they were called sons of God. They are NOT angelic beings but simply the generation of Adam, called “sons of God” Gen. 6:2 because of Adam the son of God. 2. The daughters of God. They are the direct line of Adam the son of God, and Eve. 3. Sons of man. They are born out of Eve, the mother of ALL living. They are NOT of Adam by seed, but of the serpent by seed line. That makes them sons of MAN. Adam was created in the image of God. Eve was created in the image of MAN. And the generation of Cain who was conceived without Adam but by the serpent and Eve, were called sons of MAN because of Eve being the image of MAN. 4. Daughters of man. They are born in the generation of Cain, the son of MAN. They are therefore found to be called daughters of MAN in the days of Noah. Gen 6:2 Their existence is in Eve, the IMAGE of MAN. Not in Adam the IMAGE of GOD. These are the four heads of the ONE river, that came up from the ground, and was in the beginning one river, but outside of Eden it parted into four heads. Gen. 2:11-12 The first one of these four rivers being Adam. He was the image of the living water, who came up of the ground. In the land, in the life of Adam, Gold was found. And the gold found in Adam was GOOD. Bdellium and onyx stone was also found in him. Adam was created with all of the stones found in the breast of the Cherub. Adam was the Cherub of Eden. Adam was the forefather of the Cherub generation who slowly throughout the generations fell away from God. Adam was of the mount of God. In the days of Noah, the sons of God, who are the sons of Adam, discovered the daughters of men, who are the daughters of the generation of Cain, to be fair. Gen 6:2 And they, the sons of God, the sons of Adam, mingled the holy seed with gentiles for the first time back then, even before the flood. And this specific mingling of the sons of God with gentiles produced giants. And it was evil in the sight of God. And God, because of this chose to kill ALL flesh. A gentile is a person not looked after by God. Cain was the first human being that God did not show respect. God did not give any attention to Cain and his offer. And Cain, became by that, the first gentile of the world. The original word used is not gentile, but heden. A heden field is a field, not looked after by the master. Cain was the wild growing thorn field. In Eden it was the other way round regarding the mingling. In Eden it was the serpent, a lower male being than Adam, mingling with the woman, the image of man. But in the days of Noah, it was the sons of God (sons of the king) mingling with the daughters of Cain. This specific mingling created the giants in the days of Noah. The reason for giants to exist on earth ALSO LATER, is because of ONE of the sons of Noah, Ham, took himself a daughter of man, with him, into the ark. And because of this sin of Ham, the nature of Cain survived the world wide flood. The nature of Cain and his seed, was ALSO LATER found to reappear on earth. This is the mystery of iniquity revealed. The nature of evilness was found also later, only because of ONE of the sons of God, Ham, taking himself a daughter of man, with him into the ark. Seven clean/holy human beings and one unclean/unholy human being were found in the ark of Noah. When God commanded Noah to save the old world, he commanded it to be 7 pairs of all the clean kinds and one pair of the unclean beasts. In like manner there were eight souls saved through water, the Bible tells us. 7 holy people with the number 7 and one unholy woman with the number 6 of the generation of Cain. Now we have 7 people, all in direct line of Adam. And then there was at last the wife of Ham, who was of the generation of Cain. Her number was 6 because of her forefather, Cain. Ham became the forefather of the gentiles and the giants because of this woman, a daughter of man. 7 clean and one unclean. In all eight souls saved through water. Fortunately for the gentiles, the generation of Abraham mingled themselves with their wives also later on in history. …This Israelite took himself a gentile woman, a Midjanite. It was not allowed. Gods plagues was upon the people because of this sin. And he (Phinehas) went after the man of Israel into the tent, and thrust both of them through, the man of Israel, and the woman through her belly. So the plague was stayed from the children of Israel. When I say fortunately, then it is because of this mingling, that we, the gentiles NOW, in our days, are given the gospel of redemption. Also we are now given admittance to God. There is SIMPLY NO DIFFERENCE TODAY. All flesh have sin nature in their flesh. All flesh have sinned. God therefore started a NEW GENERATION in CHRIST JESUS. A spiritual generation of a people born of the Spirit of God. Called children of God. Sons of God. Christ ians. Gods children. Amen. Only those who are born of God, are the true children of God. All that counts today is to be a NEW creation in Christ.